Royal Musings: Viktoria Luise's wedding postponed? The marriage of Princess Viktoria Luise of Prussia and Prince Ernst August of Cumberland has been postponed due to the recent assassination of King George of the Hellenes, reports the Los Angeles Times. The Princess is the youngest child and only daughter of German Emperor Wilhelm II. Although no date was announced, it was believed that the couple would marry on May 24. King George was the brother of the Duchess of Cumberland, the mother of the groom. 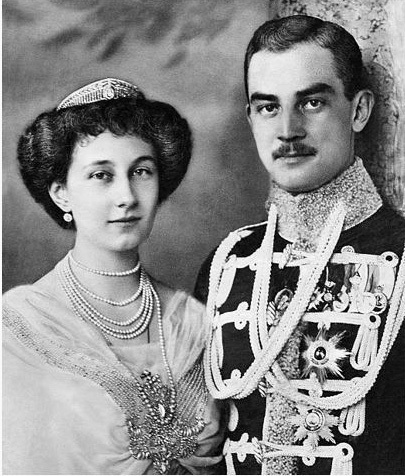 The new King Constantine is married to Wilhelm II's sister, Sophie. The postponement is seen as a "mark of mourning and respect" for the late king and his family. Princess Viktoria Luise is said to be not superstitious, and she does not worry that a postponement "will prove unlucky." The couple may now wait a year and marry in May 1914.